When it comes to Thai food, I order the same three things every time — green curry, basil chicken and an omelette. Any self-respecting chef serving Thai grub will have no problem cooking these classic dishes, and they’re so tasty and reliable that i’ve never really seen the need to try anything else. In a way, this “if it ain’t broke, don’t fix it” mindset has stunted my knowledge of Thai cuisine, so when I was told that I’d be eating Thai Wanton Mee I honestly thought that it was some kind of Southeast Asian fusion dish. Turns out Thai wanton mee is actually pretty similar to Singapore’s, but prepared in a different style. Same same but different, basically. For the uninitiated (I can’t be the only one…right? 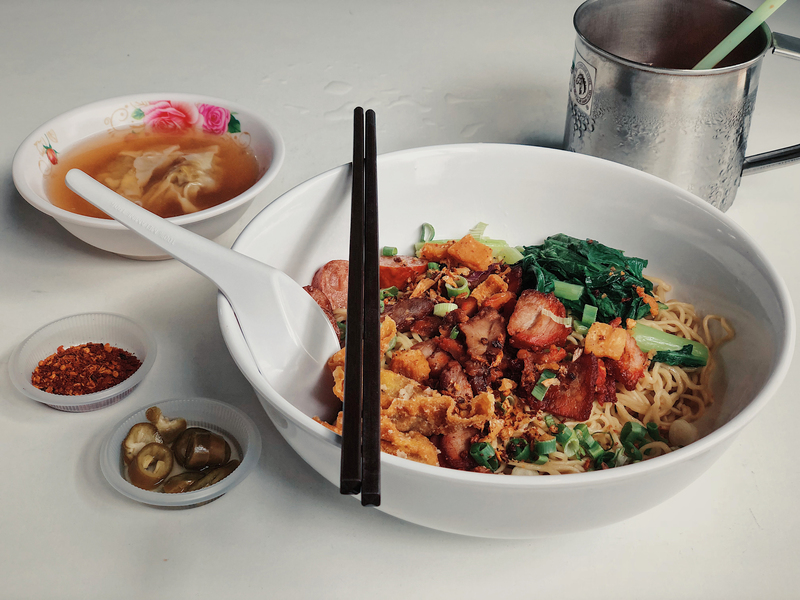 ), the main difference between “regular” wanton mee and the Thai version is the absence of any sauce, resulting in a drier dish that places a heavier reliance on the noodles for flavour. The ingredients remain mostly the same though, with the inclusion of char siew, vegetables, and of course, wantons. 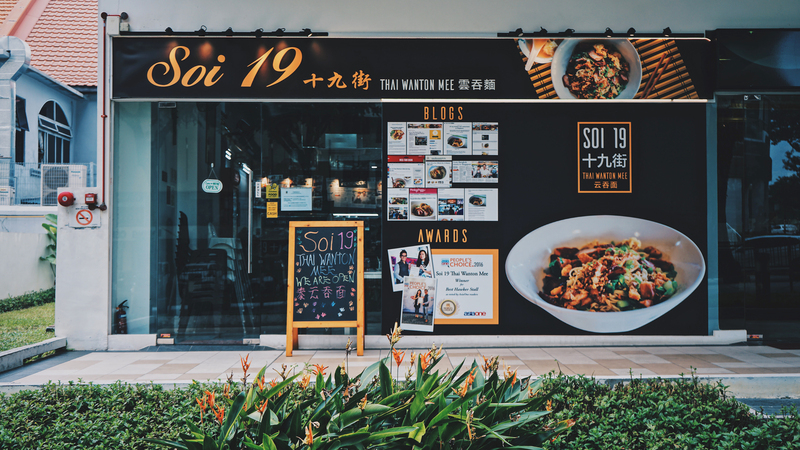 Named after the street that houses the famous SabX2 Wanton Mee in Bangkok, founder Ng Sing Chow set up his first outlet in Ang Mo Kio back in 2012, and has since opened two more outlets in Jurong and Kovan that see long queues every day. This isn’t a case of culinary appropriation either. 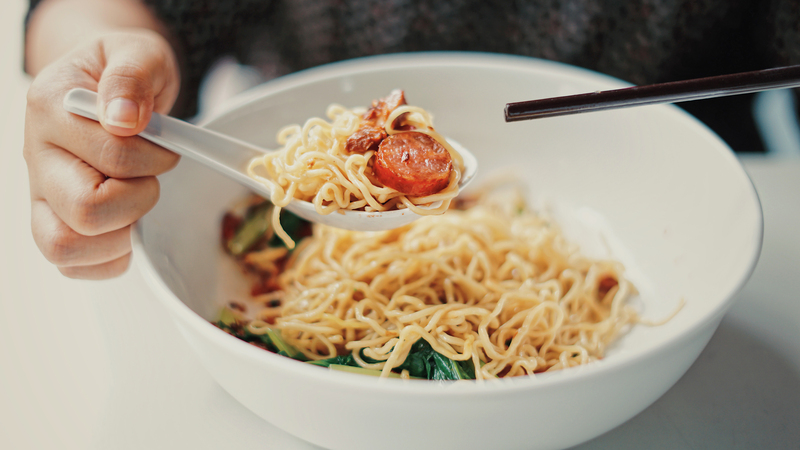 Ng — who previously worked in the clothing industry and had zero f&b experience — actually learned his recipe from his god brother in Thailand, and painstakingly tried 20 noodle varieties before finding one with the right texture. His efforts have certainly paid off, because the noodles are without a doubt the star of the show here. Despite having no sauce, they’re infused with a rich, eggy flavour, and have a bouncy, al dente texture that makes it effortless to chew on. I seriously think I could’ve eaten a bowl of them without the ingredients. That’s not to say that the ingredients aren’t good, though. The char siew used here is less sweet than what you’d usually expect — a deliberate choice, according to Ng’s daughter Claire — and it balances out the noodles’ strong taste. The larger bowls also include a few slices of fish sausage, which strangely enough taste like bak kwa (I’m still trying to figure that one out myself). And then there’s the crispy pork lard, which is made in-house on a daily basis. The Ang Mo Kio outlet is famous for offering a free flow of these crispy bites, but this unfortunately isn’t available at the other two stores in the interest of cost. It’s a shame, considering that a small amount already adds yet another dimension of savoury goodness to an already-varied taste. And what would a wanton mee be without…well, good wantons? The dish includes both the crispy and soft variety, and they’re quite literally bursting with flavour thanks to a generous amount of minced meat within each of them. Throw in some juicy greens for good measure, and you have an extremely hearty and satisfying meal for as low as $4. You’d think that a wanton mee with no sauce would be less flavourful than its gravy-laden counterpart, but Soi 19 has converted my wanton allegiance to team Thai. Earlier in our interview, Claire tells me that the goal was not to produce an exact replica of Thai wanton mee, but instead use it as an inspiration to create a version that appealed to the local palate (“60% Thai, 40% Singaporean”, she says). Having tried a bowl for myself, I can safely say that they’ve succeeded.